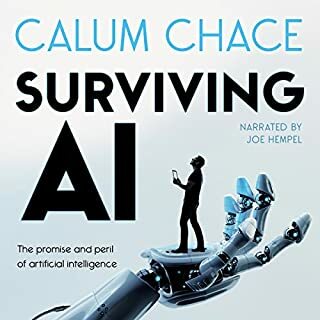 Surviving AI is a concise, easy guide to what's coming, taking you through technological unemployment (the economic singularity) and the possible creation of a superintelligence (the technological singularity). While Alec Ross was working as Hillary Clinton's senior advisor on innovation, he traveled to 41 countries. He visited some of the toughest places in the world - from refugee camps of Congo to Syrian war zones. From phone-charger stands in Eastern Congo to R&D labs in South Korea, Ross has seen what the future holds. Over the past two decades, the Internet has radically changed markets and businesses worldwide. In The Industries of the Future, Ross shows us what's next, highlighting the best opportunities for progress and explaining why countries thrive or sputter. He examines the specific fields that will most shape our economic future over the next 10 years, including cybercrime and cybersecurity; the commercialization of genomics; the next step for big data; and the coming impact of digital technology on money, payments, and markets. And in each of these realms, Ross addresses the toughest questions: How will we have to adapt to the changing nature of work? Is the prospect of cyberwar sparking the next arms race? How can the world's rising nations hope to match Silicon Valley in creating their own innovation hotspots? Ross blends storytelling and economic analysis to give a vivid and informed perspective on how sweeping global trends are affecting the ways we live, incorporating the insights of leaders ranging from tech moguls to defense experts. The Industries of the Future takes the intimidating, complex topics that many of us know to be important and boils them down into clear, plain-spoken language. 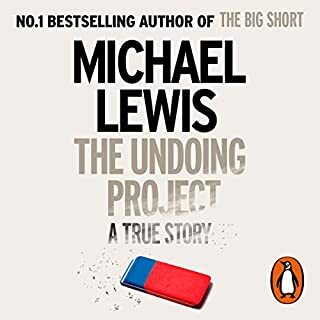 This is an essential work for understanding how the world works - now and tomorrow - and a must-listen for businesspeople in every sector, from every country. ©2016 Alec Ross (P)2016 Simon & Schuster, Inc.
Great book and narration by the author. A must listen for anyone with young children. On another note, the dynamics of Pakistan are very different then to judge on what is happening in wazirstan, that is the problem with western authors when they select countries like Pakistan Iran saudia Arabia they pick the darkest colour to paint the picture, though I agree Pakistan need more reforms, but malala was an exception not every girl is killed in Pakistan to get education we have numerous good examples. Imagine a country with so many backwards had selected a women as a prime minister, and this had never happened in many other liberal country because their population is not ready to accept women as a leader, what happened to Mrs Clinton is infront of us. Inspiring and informative, unfortunately some information especially about Indonesia is already obsolete - or completely wrong. 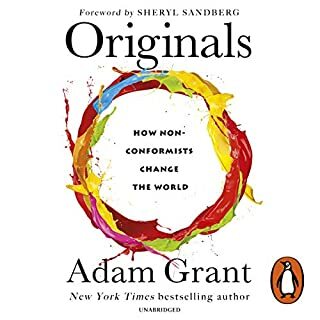 The pace is good, although in the middle of the book the reader's voice is change - he sounds like a completely different person; unfortunately this 'new' person is very distracting and less enjoyable. Luckily some of the ideas and insights - other than those about Indonesia - are very interesting, though if he make mistake about Indonesia, does he also make mistake about the other countries/situations? Great to hear how a senior world expert sees world industries changing and various human and organisational aspects that are important. I'm left wanting to know more from Alec. Enjoy! insightful, visionary, detailed. great read. loved it that the writer himself executed the reading. the stats and the examples were relevant and well-explained. Great book and great content. Make you understand and think what future has in store for you. But the Alec's narration was emotion-less and lack the spirit. I have heard more spirited narration by non-authors of other books. I would recommend a friend to read this book if they were not following current trends and events as a concise way to catch up to what is going on presently. Have you listened to any of Alec Ross’s other performances before? How does this one compare? 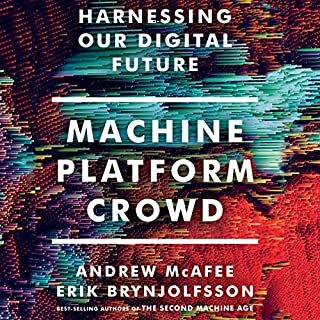 This book is not so much a look over the horizon for what the industries will be but more a drive around the existing landscape stopping in to see what the demographics are, what people are working on, and why they think it might be important. 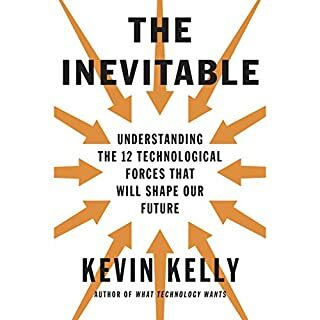 People that follow technology, business, economics and global trends will not find much of the future in this book. For others, it can serve as a pretty good overview, but not much of predictor of what to expect for the future. The book is a lot of things but surely not "the industries of the future". 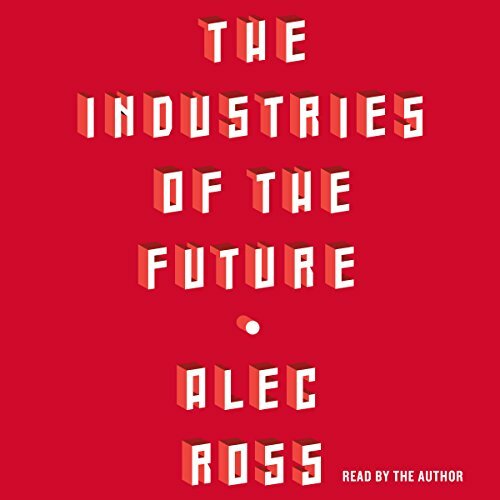 Alec Ross talks a lot about current technology trends and very little about the future of these technologies (with the exception maybe of Robotics), and definitely nothing about future technologies that may not be now known to the common public. 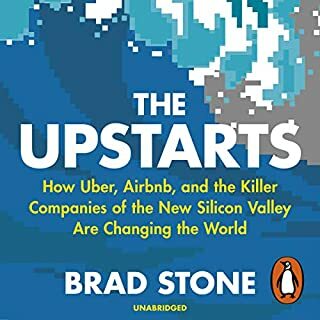 He talks in details about Silicon Valley, and other attempts to establish similar technology concentration zones in the world (and why they fail). 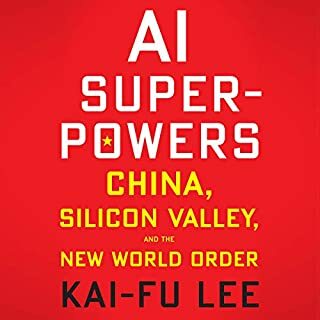 He talks a lot about the politics of Russia, China, India, and many other countries, as if the book was a Geo-political and technological analysis of the world. The narration is the worst part of the book (even after all above negative feedback). Alec Ross should have given this to a professional narrator. 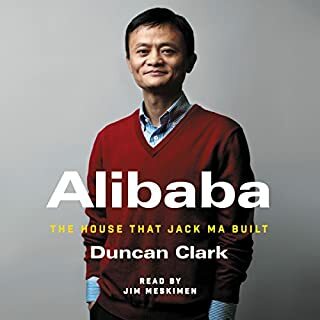 This audio book should not be listen to while driving under any circumstance because you will fall asleep very quickly. Absolutely terrible. I would have given the book a zero star for this if possible. You still get some benefit from the book but not for whatever the title hinted at. Insights are pretty common sense if you are up-to-date on trends. Really needs a better voice-over than the monotoned authors voice. 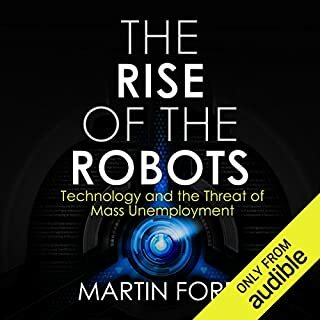 This was an interesting book that looks at what fields are heading for a breakthrough and which ones are on the way out or will require less people in the future. Ross was an advisor to the State Department under Secretary Clinton. Ross traveled too many countries to learn about industrial development. Ross describes how Indonesia, Brazil, Chile, Peru and Mexico are positioning themselves in the global economy. He also describes how Africa is starting to emerge as governments become more stable and civil wars are ending. I was surprised to learn about the mobile telecom companies in Africa and how that is changing people’s lives. I found the information about Estonia fascinating; children learning to code starting in grade one. Ross identifies certain industries that are key drivers of change. The author devotes chapters to robotics, cyber warfare and advanced life sciences such as genetics. Ross states that any country that does not empower women will fall behind. At the end of the book Ross discusses how to prepare children to enter the vastly changing workplace coming up. 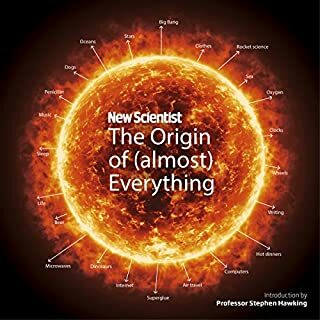 For the science aware person most of this in not new information but for those who are not science aware this might be new and helpful information. Alex Ross did a good job narrating the book. 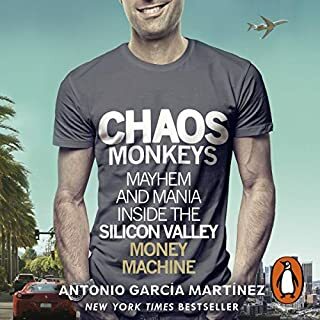 I think Alex is right about a lot of the book, but the idea that little Silicon Valleys are going to spring up where there is domain expertise seems unlikely. The knowledge to build those big data systems is moving too fast to distribute, there are dozens of Apache projects that need to play well together for this to happen. For those with domain expertise to build on it the rate of technology change would have to slow down...otherwise you need a critical mass of big data experts. That seems to be the domain of Silicon Valley and the author doesn't propose a way for it to change, or a hypothesis for big data technology to plateau for some time. I like books that challenge my thinking and this book did that. I think it contains good content and was enjoyable to listen to. It doesn't really matter to me if Alec is correct in his prognostication. He provides enough information to support his predictions so that the reader can synthesize that information and extend it to other domains. The "why" behind his selection of industries is the most important aspect to apply to changing markets in support of The Innovator's Dilemma. 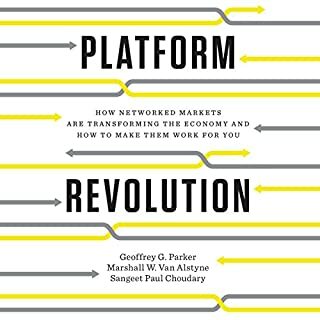 Read this if you want a glimpse into the future or read it if you want a thought catalyst in support of current markets. This book comes from a man with firsthand knowledge. I use the terms "he smells like the sheep while also flying at 35,000 feet." Being so up close allows him to speak of what is yet he has drawn from what he has seen to see what might be! On one hand the reading leaves one excited about the future. On the other hand one is challenged to prepare oneself for involvement in this new world. 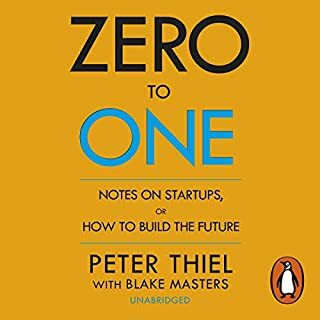 Incredibly insightful and useful for anyone involved in creating the future! I did like everything in this book. In particular examples of countries and consequences of leadership choices of openness and closed systems of the countries they lead. Opportunities gained and lost as a result of policies embraced. Great guidance for parents in helping their children to shape the future for the era we are living on, and will be living in coming decades. Great guidance for grown enough children to understand the environment we are living, and prepare for a successful future. I would strongly recommend this book to leaders of the nations, parents and young people. I want to thank the author for this great book!! This book opened my mind to a vast new world of opportunities for a threatening and uncertain near future. Thank you Alec Ross! 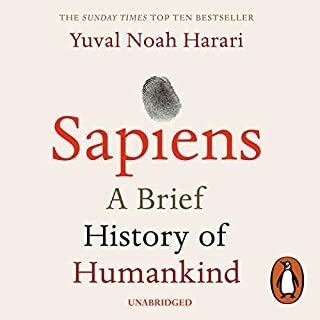 A fascinating read (listen) for anyone who cares about the world ahead of us and the world our children will live in. Very informative, a must read/listen! If you want to have an idea about where the world is headed, this book will help set you on the way. 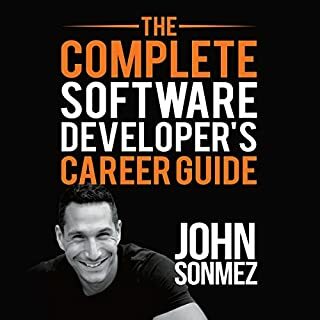 I am an Information Technology major and this book has provided a new wave of inspiration for me. In a nutshell, Ross discusses his predictions of the next trillion dollar industries citing the examples of many fortune 500 CEO's and entrepreneurs providing a thorough view of how these industries might get there and the potential benefits and disasters that come with them. 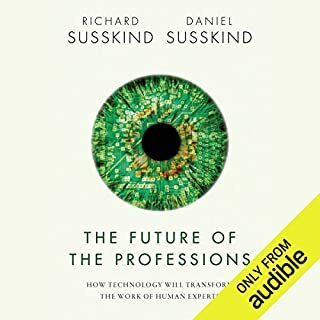 Author strayed from his area of expertise on a couple of occasions but otherwise a fascinating look at technology and how it will affect our futures. Alec Ross through his experiences in US government has had the exposure to be able to interact with the shapers of opportunities and challenges of technology at a global scale. 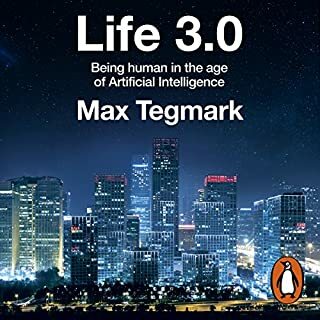 He is able to describe very disparate types of sciences, including genomics and AI, giving a credible account of how these fields are likely to change society and our lifestyles. What I found refreshing is that this book does not only touch on the West's challenges, he puts them in context at a global scale. Countries in Africa are also up for a technological revolution as it becomes ever more pervasive and resilient to government tyrants. 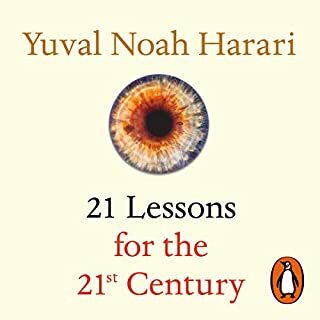 A must read for those who want to have a glimpse of what we are likely to experience in the coming decades.